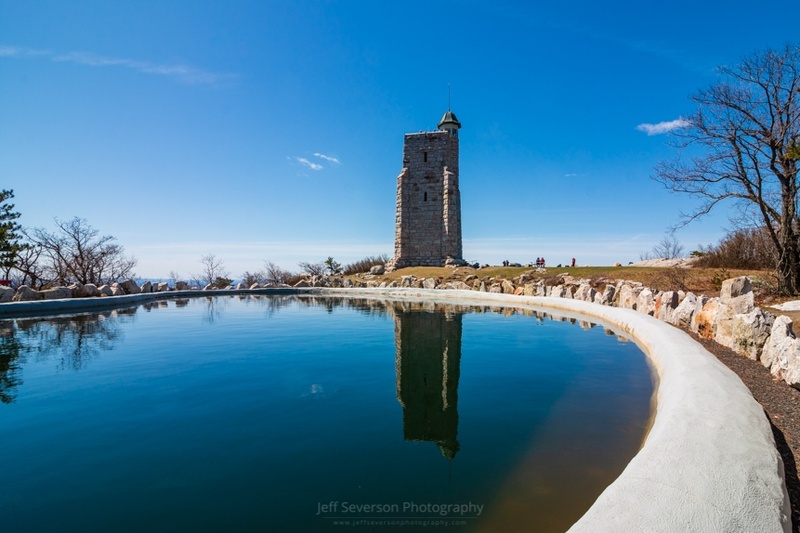 This shot captures a reflection of Skytop Tower at Mohonk Mountain House in the reservoir that sits beside the tower. The reservoir once served as the quarry for building the tower, a monument to the founder of Mohonk Mountain House, Albert Smiley. This photo was taken on April 21st, 2018 with a Canon EOS 70D at 10mm and 1/200 second exposure.